Most lifestyle and fashion merchants use social media. But many don’t realize how critical it is to their business. For large retailers, social media is typically responsible for 3-7 percent of web traffic. Smaller merchants, however, can build an entire, lucrative business around this channel. 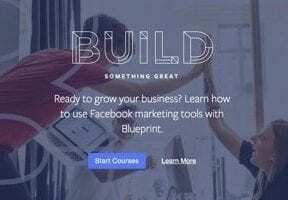 Social media is not about throwing random pictures on Instagram, uploading occasional videos, pinning cute images, or bombarding Facebook followers and group members with promotions. Instead, social media, properly executed, is about delivering helpful information to customers and prospects, which will encourage them to engage with your business. Social media can help businesses in four principal ways. Each requires a strategy, tactics, and a schedule. Some posts you can create on the fly. But the majority must be planned, designed in a chunk, and scheduled. Done well, social media is time-consuming, especially if it’s a primary traffic source. General communication. The two main aspects are content creation and promotion. They work in tandem. If you create amazing content but don’t promote it, your time and money are wasted. Large social media teams have different people for content creation and content promotion. Content creation includes researching, planning, creating, and scheduling. “Content” can include descriptions, captions, hashtags, keywords, tags, meta info, and anything else that an outlet requires. Content promotion is an organic or paid way of delivering your content to more people than you have in your immediate social community. 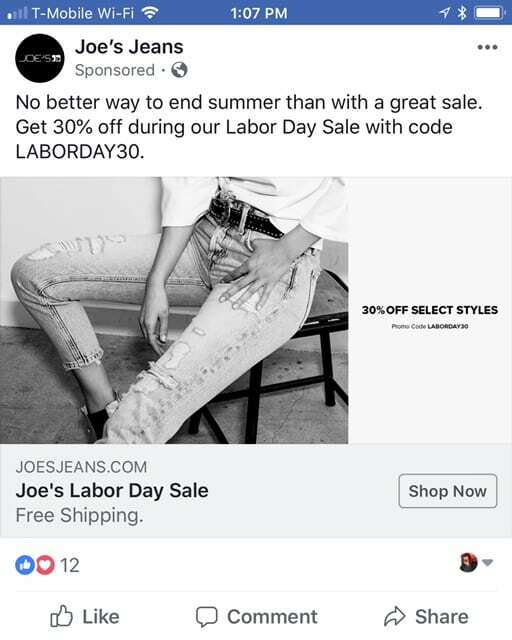 Joe’s Jeans uses Facebook to promote its content — a Labor Day sale in this case. Search engine optimization. Social media can improve traffic from search engines, as follows. Articles and guides. Promoting articles and expert guides on social media could produce many backlinks, which would improve rankings in Google and other search engines. YouTube. YouTube is a video search engine. YouTube videos are also prominent in Google search results. To rank highly, make sure that the video title, file name, tags, and descriptions are keyword based. Pinterest is a serious search engine, with over 3 billion monthly searches. The beauty of this channel is that merchants do not need many followers, just keyword-based descriptions and correct links. Yelp. For brick-and-mortar businesses, Yelp is a key social media outlet. Keyword optimized Yelp descriptions, keyword-based reviews, images, and more can take you to the first and second page of results. Other social media outlets. There are social media sites for blogging, bookmarking, community, information, photos, and videos. While it’s nearly impossible to have a meaningful presence on all of them, creating accounts with logos, descriptions, and backlinks to your site will be useful for SEO. Influencer marketing is an unbeatable strategy because of its dual purpose. First, influencers can generate targeted, ready-to-act traffic. Second, organic links from influencers to your sites will improve search engine rankings. Blog posts by influencers work well if your prospects are “readers” versus “watchers.” If there is an opportunity to have a blog post with a permanent link from a relevant influencer, always go for it. YouTube videos from influencers with a target following work like a charm. The number of subscribers does not necessarily matter in my experience. Smaller influencers tend to work harder, care about the business more, and charge less. Having several smaller influencers can produce more traffic than a single large one. Instagram collaborations perform on a smaller scale that YouTube videos. But don’t underestimate Instagram. Make sure that account you collaborate with is active and the owner is willing to change the account link to your website during the promotion. Each Instagram collaboration will generally work in your favor for three to four days in my experience. Pinterest boards on your behalf from an influencer can work well for fashion merchants and, also, for lifestyle companies that have multiple visuals, such as food and recipes. 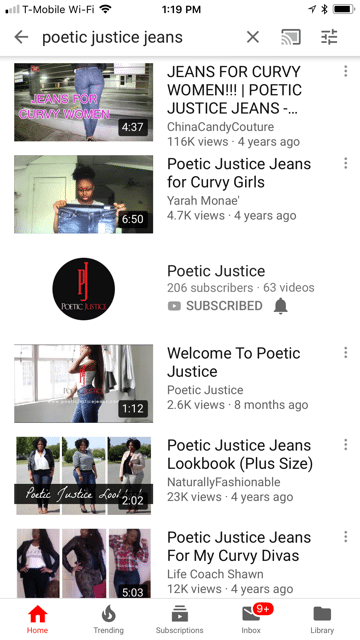 Poetic Justice Jeans uses influencers on YouTube to promote its products. Lead generation is one of my favorite uses for social media. You develop valuable content and then receive instant gratification from quality leads. For example, a free guide titled “20 Exercises for Your Waist Line That Work,” will generate leads from prospects, who will also trust you more than competitors that sell products without providing a helpful guide. Sharing your lead magnet on multiple social media outlets will bring extra traffic. 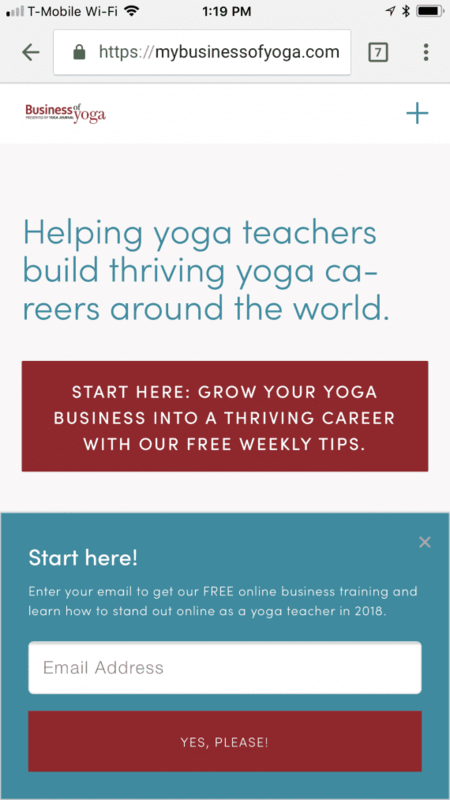 Business of Yoga offers free training to yoga teachers. Beware of college students and virtual assistants who offer social media management services. Some are helpful, but most are not. Social media should be a core facet of any fashion and lifestyle business — not a part-time gig. Instead, hire a professional to create a social media strategy and detailed tactics, to execute herself or train your staff.